It may be a little late into this blog to get into this particular thought, but I thought I'd give it a go anyway. I was thinking about this earlier today amid the craziness of church. 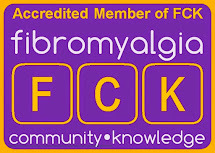 My current musing is the idea of dealing with chronic pain. 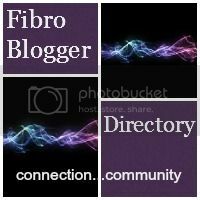 This whole blog is about dealing with fibromyalgia from a Christian perspective and a big part of that is dealing with chronic pain. Lots of people have some trouble facing the idea that God Himself might directly or indirectly be the cause of their pain. Oddly enough, I am not one of those people. I find few things (if anything) as comforting as the idea that every struggle, difficult situation, and heartache has been chosen by God to make me more like Jesus. There are few things I can think of that would be worse than the thought that all of my pain in my lifetime is random and without purpose. So at the end of the day I don't struggle with the theological idea that God may leave me in pain for the rest of my life. That's the easy part. Getting on here every month or so and sharing truth that God has seen fit to teach me through this--that's not hard. I could write volumes of articles on the harsher mercies of God, the pain and suffering of following Him with cross in hand, and do it without challenging a single belief or conviction that I hold. So why am I writing about this? There is one tiny part I forgot to mention that I do struggle with on a semi-regular basis, and that is where this truth becomes reality on a daily basis to me personally. It's easy to proclaim the theological purpose behind suffering, but it's difficult to tangibly serve God through it. I love sitting and theorizing about God's plan for different situations. I throughly enjoy seeing God glorify Himself through the suffering I see in believers around me, when they hurt deeply and still trust Him. What I don't have a very good appetite for is feeling the pain all the time and trying to still hold onto my joy. I don't mind the side of it that involves talking about how good and faithful my God is, but when it comes to Monday morning and I haven't really slept the night before and I'm gulping down a handful of prescriptions and over-the-counter pain mess just to make it into work close to on time, can I really claim that I am embracing God's harsh mercy for me? Why is there such a disconnect between what my brain knows is true and what I feel in a regular basis about the way things are? Sadly, I am ashamed of the answer, but feel compelled to share it with you guys, because this problem is bigger than just me. Simply put, I still hold my personal comfort and desires before God's glory in my life. Doesn't that sound horrible when you say it in real words? But is it not true just the same? If I know that God is in control of my circumstances, and I know that He could have chosen differently for me, but He didn't... If I know that He will bring glory to His name through what He brings into my life, then why am I not more excited to watch and be a part of Him finishing what He's been faithfully working on since the beginning of time? I would rather be comfortable and happy than suffer--even if God is glorified through that suffering. I would like to think that there are at least moments of clarity where I can see the bigger picture and embrace what God is doing whatever the personal costs, but I would be lying to you if I claimed that's where I am all the time. The majority of the time I am simply putting one foot ahead of the other, and hoping for an easier day tomorrow--that's just not good enough. That's not joy, and that's not a full picture of what the Gospel looks like. It is not enough to half-hearted walk around wishing for "better" because there isn't better to be had. We are not here to be comfortable, and we are not here to be served. Are we better than Jesus? So this is a challenge to myself as much to anyone else, but rather than just acknowledging in my mind that God's glory is more valuable to me than my comfort (all the while feeling disappointed with His plans for me) I want to truly embrace this idea when Monday hits and I feel like crud but have to go work anyway. I want to embrace this when I feel alone and isolated with nowhere to look but up. When I feel short on comforters or understanding from other people, I want to learn to be content in whatever situation I find myself in, because ultimately His glory and His name are worth a lot more than my comfort.